This is a question that is asked quite frequently for a number of reasons. Many people who considered a “do-it-yourself” divorce often times regret for not retaining a legal counsel after realizing that it can be complex and time consuming process. The lack of expertise coupled with the amount of stress can make the divorce process in New York much more difficult. Hiring a divorce lawyer who is familiar with the divorce process and can fight your best interests in court is extremely important. And although you do have to meet with them and pay their fees, having an attorney to fight for you in court allows you to focus on what matters most – your family. It will also give you time to resolve other important issues outside of the courthouse. The legal system is very complicated, and there is a reason why lawyers have to go through such a long process just to be able to practice law. The ins and outs of our legal system are complex, and not knowing how to navigate the divorce process can lead to mistakes. Mistakes made during the divorce process can come back to bite you when it is all said and done which may include financial ruin or further legal proceedings in order to fix the mistakes. The stress that comes with representing yourself along with the ramifications of a costly mistake made during the divorce can be removed just by retaining an experienced divorce attorney. Let an attorney handle the complexities of divorce – it’s his job. Along with the stress and lack of familiarity is what I believe to be the most important reason as to why you should retain an attorney, and that is the emotional aspect to divorce. No matter who you are, getting a divorce is an extremely emotional experience, and things people tend to not do very well when they are highly emotional include making sound decisions based on logic and representing themselves in the same manner as they would under normal circumstances. A divorce lawyer has the ability to not let emotions get involved, because they are able to keep their emotions out of the courtroom. To put it in perspective, most divorce attorneys that have gotten divorced themselves do not represent themselves, but will also retain a lawyer, because they know their ability to represent themselves in court will be compromised by their feelings and history their share with their soon-to-be former spouse. As much as you think you can “keep your cool”, you can still end up losing it as it can be tough to deal with the whole process. On top of that it can be stressful dealing with your soon-to-be-ex-spouse, collecting all the relevant documents from your spouse’s attorney, analyzing them, drafting orders and motions, and facing your spouse and their well-trained lawyer in the courtroom. It is no surprise that most people don’t want to represent themselves. 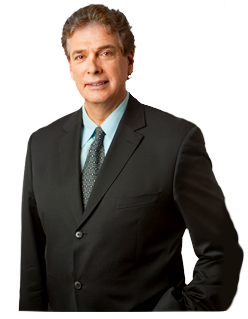 Retaining an experienced and trusted divorce lawyer in NYC is still the best option. Allow yourself to have some peace knowing someone else, who is well versed in the divorce process, is fighting the best fight for you. This entry was posted on Friday, December 1st, 2017 at 6:01 pm and is filed under Divorce. Both comments and pings are currently closed.